Greetings everyone! Well at long last the new children's book I've been working on for about 18 months is available as of April 7th and I couldn't wait to get this newsletter out to make it available to you!! Many of you have probably heard me tell the story that led to the children's song, "Wherever Love Is." This book, co-written with my good friend Sherry Favre, took shape from that story. Please click HERE and you'll be taken to that story and to the order page for the book. The release of my new album (CD, Download, whatever :)) "Fully Alive" !!! I can't wait to share this new music with you! 16 songs... many folks have been waiting for me to do studio recordings of some of these tunes for years-- songs such as "I Am Welcome," "Fully Alive," "In God's Hands" (that's the one I wrote for my mother before she died), "The Speech That Got Martin Luther King Jr. Killed," "To All Sacred Truth," "Jesus Was Not An American," "The Perfect Church," "The Nightingale and the Rose," "The Witness of Rufus Jones," and several other surprises. Too much wonderful stuff going on in my life for me to begin to get into now. I'll save more for the next newsletter. I'm going to do my best to send out a newsletter each month from now on. I'm also going to be blogging a lot once my new album is released. Thanks so much for all your support, for showing up at concerts and worship services and retreats, and for all the ways you make this music ministry of mine the amazingly grace-filled adventure that it continues to be! Grace and Peace, and thanks again! 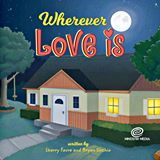 Order "Wherever Love Is" (Children's Book) here! Plenty of Time Left To Give My Music For Christmas!! I MUST be in a good mood! U2's Bono likes this song of mine! Still Time, but Bryan's New Christmas CD is Almost Sold Out! Video of Children's Book & new CD! Please Help Me Launch This!